GREENSBORO, NC (Jan. 22, 2018) – The Mack Anthem® is not only turning heads on the highway, it’s grabbing the attention of LEGO® fans of all ages with a new 2,595-piece LEGO Technic Mack Anthem building set. 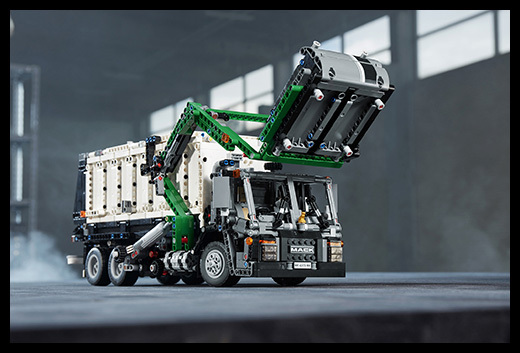 With exceptional attention to detail, the LEGO Technic Mack Anthem accurately recreates the new highway hero’s bold yet aerodynamic design. In addition to the Mack Anthem, the set can also be used to create a fully functional Mack® LR front loader refuse model. Features include an interior complete with a detailed dashboard and steering wheel, sun visors, adjustable seats and bunk bed. A working driveline featuring an engine with a spinning radiator fan and moving pistons is also part of the kit. 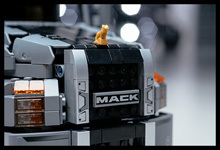 The pistons even move in the correct firing sequence for a Mack® MP® engine. 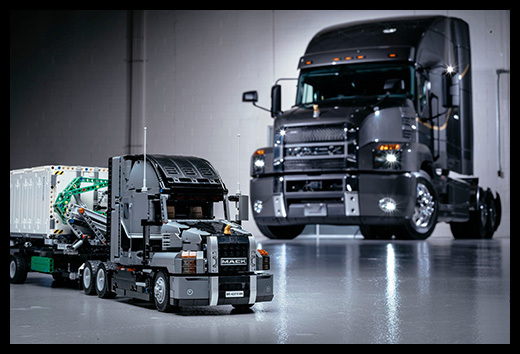 "The Mack product design team had fun working with the LEGO Group and their team, but we took this as seriously as we would any other project," said Lukas Yates, Mack chief designer – exterior. “We’re excited about outcome and the opportunity the partnership has provided to build another lasting impression of the greatest name in trucks."